We are delighted to have achieved some fantastic results throughout the delivery of our programmes. For many the support we provide really is life changing and defines the next steps and future decisions young people make. 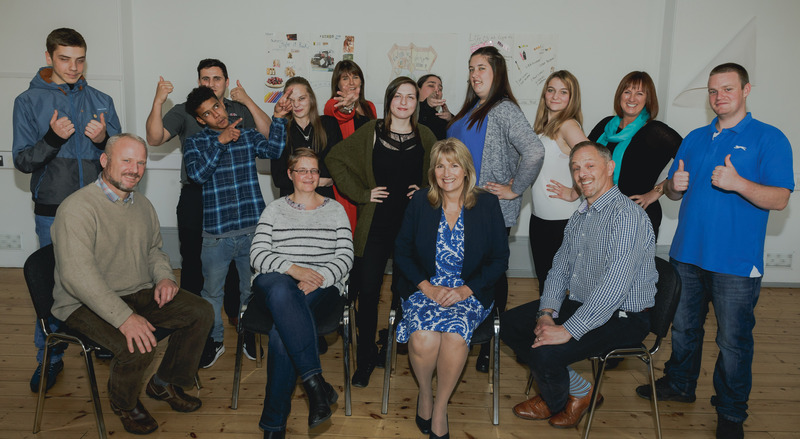 The Exe Factor is a social enterprise that promotes everything positive about living and working in Exeter. They have partnered with BEEP to help raise money to fund programmes. The next event at the Mercedes Benz showroom in Exeter is on the 11th May from 18:30. Tickets are just £6 and you will hear Exeter Chiefs Geoff Parling speak along with BEEP ambassadors Julian Salvi and Matt Jess. Presentation Days - Meet people who need jobs! Join us at one of our presentation events, here the young people finishing a 10 day programme will be not only presented with their certificates of achievement but they will present to the gathered audience of prospective employers, colleges and training providers. They will talk about the challenges they have faced as individuals and the type of jobs or futures they want for themselves. We have been very lucky to have been nominated the Exeter PA Network Charity of the Year in 2016-2017. Their support has been amazing, we need more organisations and businesses to do the same. We need you to raise money on our behalf or to simply donate. Please contact us if you can help.